Sister blog Multi-American‘s series on unsung ethnic food delicacies has left me thinking: Sure, D.C. may have plenty of the kitfo mentioned, but this is also the city where cultures and worlds collide. What about fusions? Try pork belly meat, sandwiched between two glazed doughnut buns. 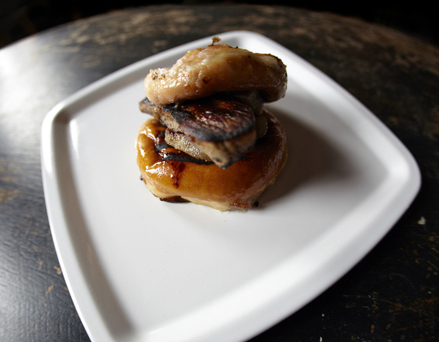 Alright D.C., the challenge is on: can you think of a more unusual, yet delicious, fusion than the pork belly doughnut? Let us know!